A drama set in 1960s about the eldest sister of five orphan siblings taking care of them and make them successful people in life and society. The first daughter of 5 sibling, she became their leader after their parents died. There were 2 men who loved her but she chose to concentrate her life for her younger brothers and sisters. She did many hard jobs to make end meets. From working in the factory, smuggling illegal imported goods and even nursing tuberculosis patient. Despite her hard life, she loves to learn and study by herself through books. Her sole wealth is her lovely personality and sincerity. He is a boy who has nice smile. Though he is just a few years older than Youngsun , he acts like guardian for her. He always talks to Youngsun that good things will come to Youngsun if she keeps her good personality. He loves Youngsun deeply. He wanted to be poet. But, he studies law to become lawyer according to his parent’s wish. During studying law, he starts to understand that life is unfair . It makes his parents difficult. 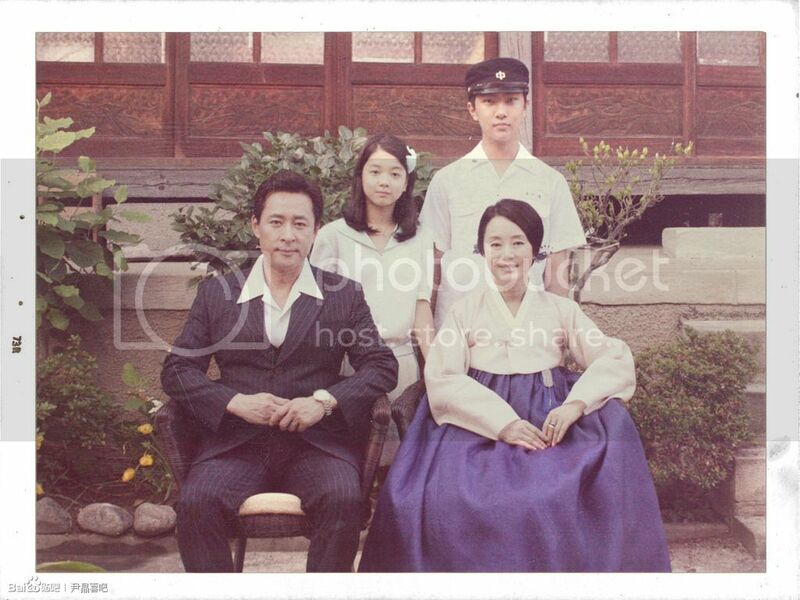 Sangnam’s daughter. She was raised by a nanny because her mother was sick. She envies Youngsun because Youngsun receives mother’s love. She gives hands to Youngran’s misfortune. Youngsun’s younger sister . Different than Youngsun, she’s a social climber. 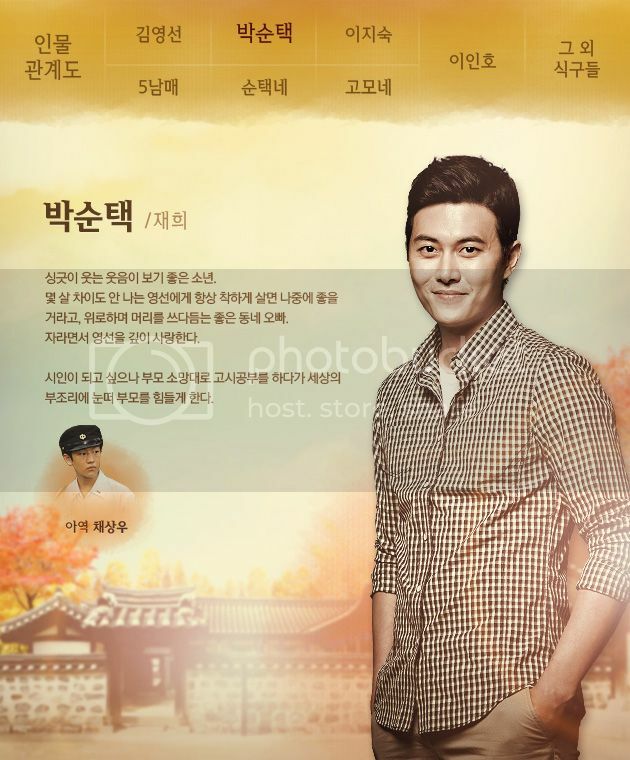 1st son in family and younger brother of Youn gsun. He has many talents in entertainment area such as singing. 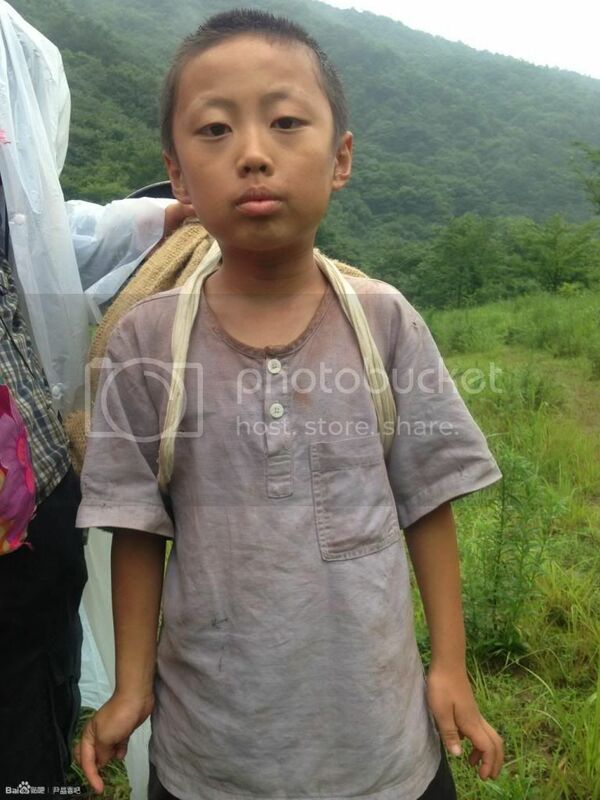 Though he can be a college student thanks to Youngsun, study is his second interests comparing to show business. This immature younger brother is also becoming mature as time passes by. Actor Lee Jong-won is starring in a drama with Jang Mi-hee for the first time in 25 years of his acting career. Lee Jong-won stars as Kong Chang-rae in the JTBC drama "The Firstborn". 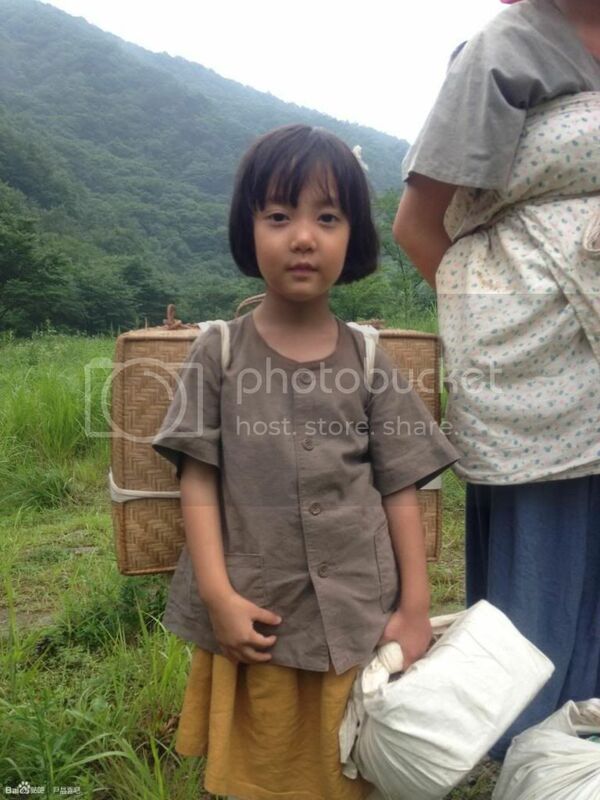 He has been a farmhand since the time of Lee Sil's (Jang Mi-hee) father. Like a brother looking over Lee Sil, he quietly grows his love for her as well. Lee Jong-won said he decided to do it as it was settled in a difference background to the modern dramas these days. 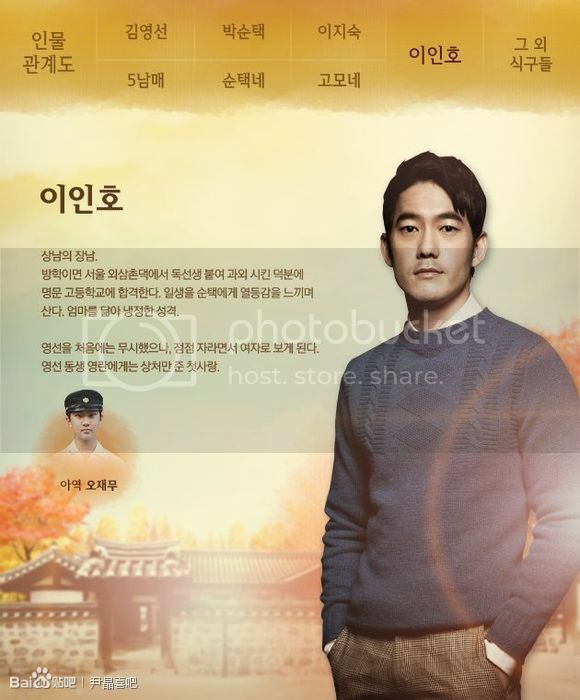 Lee Jong-won appears as himself without any hair or make up in this drama. "The Firstborn" is produced by Lee Kwan-hee and written by Kim Jeong-soo who have reunited for the first time in 20 years. This drama is going to deliver The Scent of five siblings in the 1960s. The other casts include, Yoon Jeong-hee, Oh Yoon-ah, Jae Hee, Jang Mi-hee, Yoo Hae-jeong, No Jeong-ee, Oh Jae-moo and more. 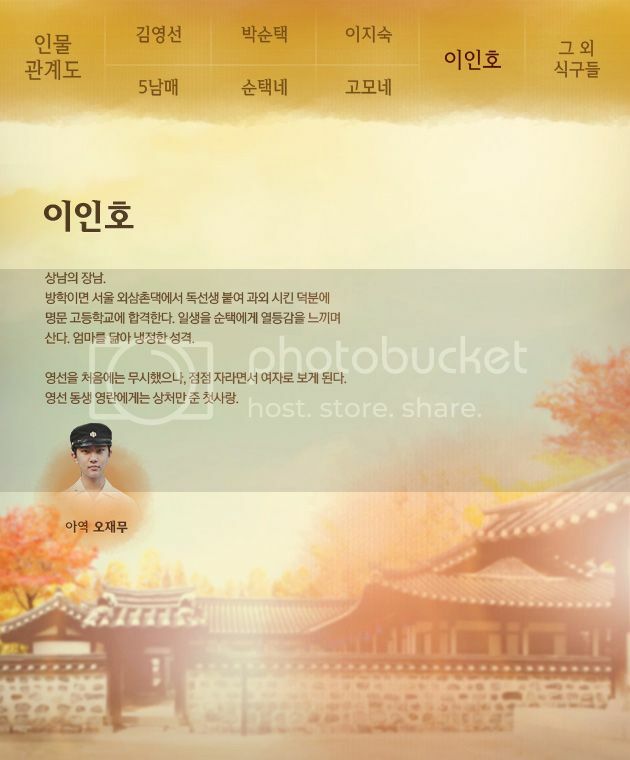 To be aired in September after "Cruel Palace - War of Flowers". Jo I-jin cast for JTBC drama "The Firstborn"
Actress Jo I-jin has been cast for the role of Yeong-ran in the JTBC 2nd anniversary drama "The Firstborn". This 50 part drama is about the first born of five, taking care of siblings to make them socially successful people. It is also known as the 2013 version of "Six Siblings". 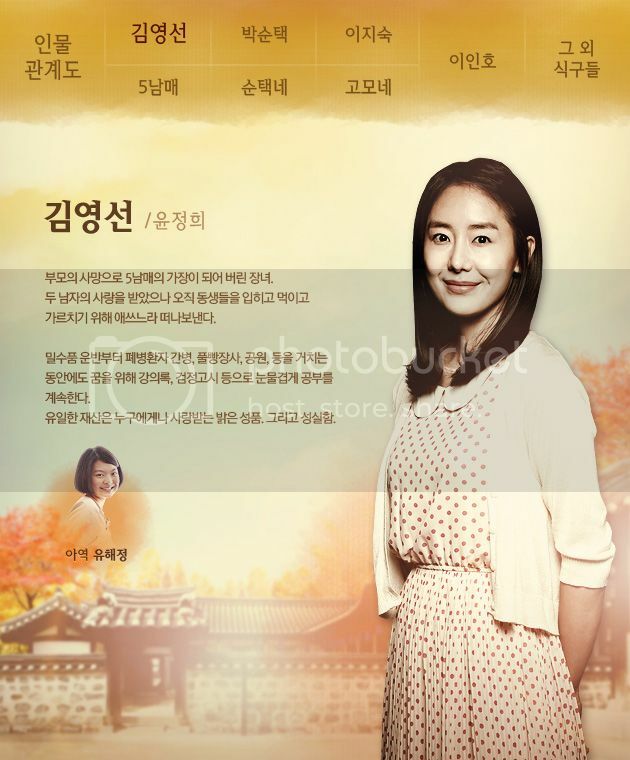 Jo I-jin's role in the drama is Yeong-ran, Yeong-seon's (Yoon Jeong-hee) younger sister. She is a completely different character from her sister and works hard to get what she wants. Jo I-jin debuted with the 2005 movie "The Aggressives" and was awarded the rookie actress award at the Dae Jong Movie Awards for the movie "South of the Border". She said, "I'm happy to be able to come out with a new movie soon. I hope for your continuous support". Meanwhile, "The Firstborn" is produced by Lee Kwan-hee and writer Kim Jeong-soo. To be aired in September. 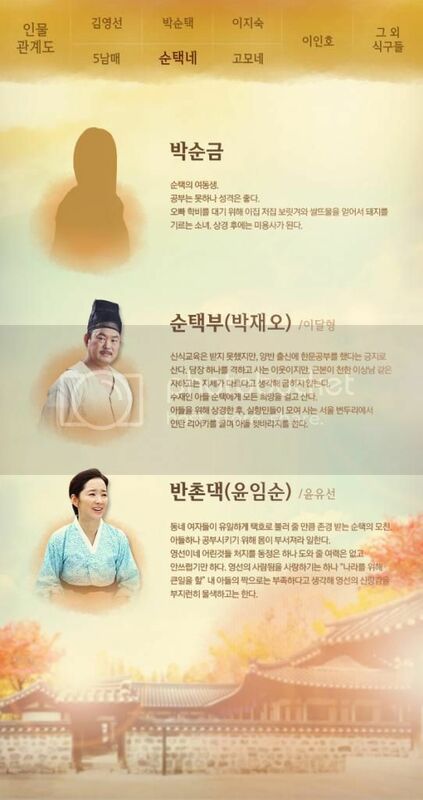 Here is the Hancinema page for it, with updated cast..
Viki does not show it under construction, which is not a good sign... sigh..
What is your favorite work by Yoon jung hee?? @Iris...you're welcome dear and thanks for the official website of this drama...do you have a plan to watch this drama online ?? Have you ever watched YJH drama before chinggu ? I love your statement of the "Double Hee..."
I found this site.. I am not sure if they will actually give us the drama.. but maybe worth following up. 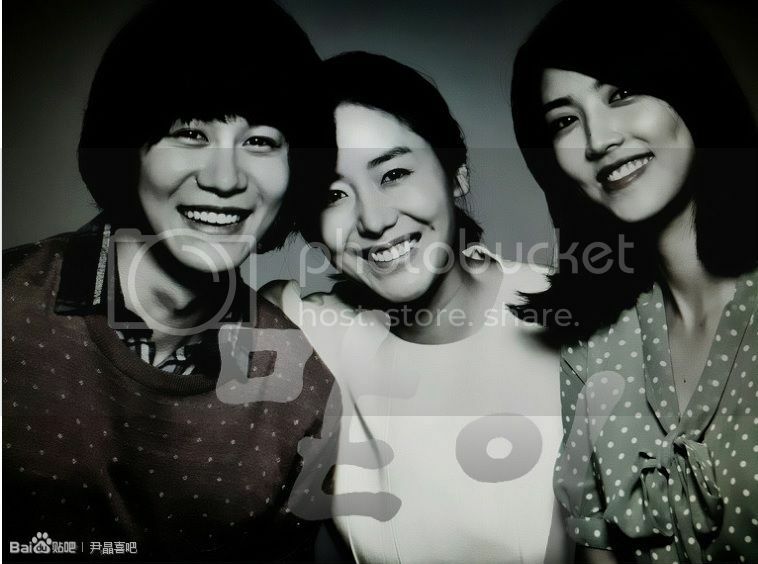 Do you have any informations about presscon of this drama ?? Maybe @NewMario has some infro.... As you can see from my signature.. right now, no time for more drama..it will have to wait.... Thank you so much..will keep your recommendation in mind, my friend..
How about we send Personal Message to @NEWMARIO ??? Maybe you and @KaoW, and others who are interested can do the same... In the very least - maybe JTBC will bring it to YT?